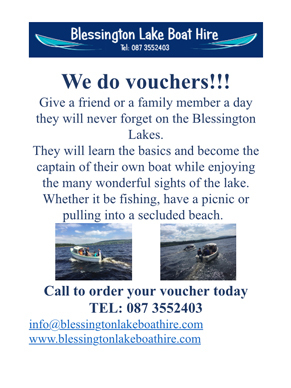 Blessington Lake is the largest in Wicklow with 56 kilometers of shoreline and many inlets and bays which offer the angler excellent coarse and pike fishing. 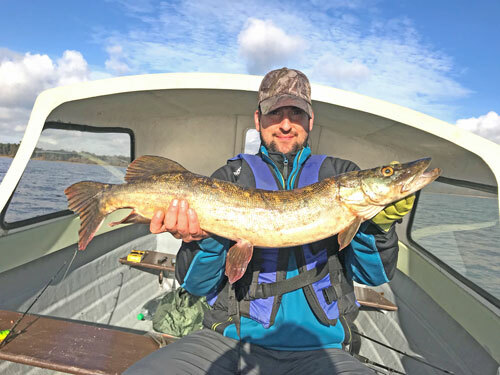 The lake is controlled and managed by the Electricity Supply Board (ESB) and a permit for all types of fishing is required, which we can supply. 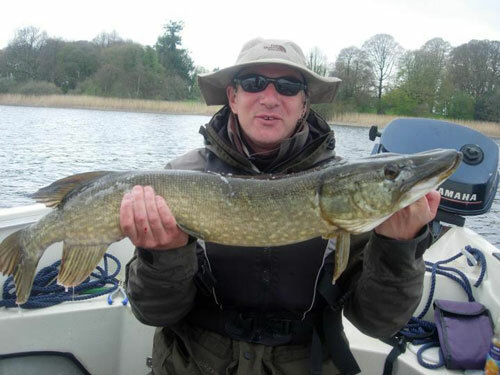 The lake is open for coarse and pike fishing all year round except October. 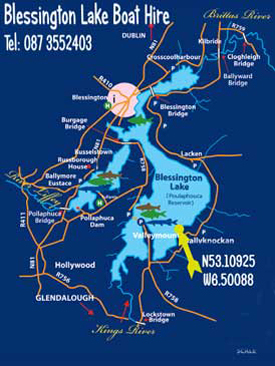 Blessington Lake is considered a centre of excellence for pike angling as it has recorded regular 20-30 lb. 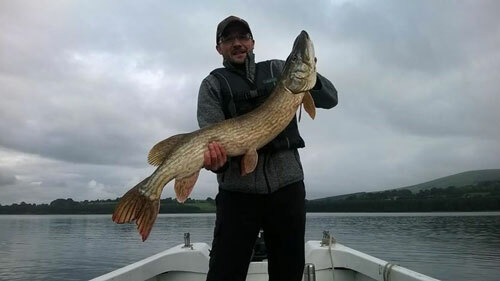 catches of pike annually. 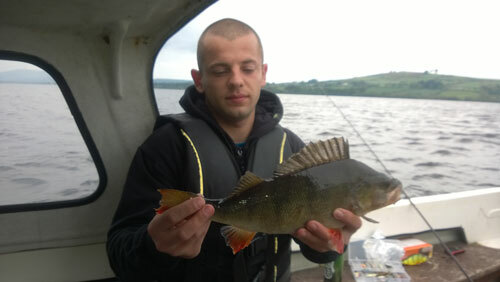 From January to March (spawning period) the largest fish are often taken in shallow weedy areas. The ESB annually stock the lake with brown and rainbow trout averaging over 1 lb. Some ferox trout over 10 lb. have been recorded in the Valleymount area.